A. Gardner Fox was born in Syracuse, New York, on November 22, 1912. He received his B.S. and M.S. degrees in Electrical Engineering from the Massachusetts Institute of Technology in 1935. In 1936 he joined the Technical Staff of Bell Telephone Laboratories and for three years was concerned with the design of a compact shortwave transmitter for small airplanes and with the Bell Laboratories first radar project. In 1939 he moved to the Bell .Laboratories Research Laboratory at Holmdel, N.J. where he conducted research on waveguides under G. C. Southworth. During World War II he was responsible for the design of the microwave scanning antenna and the high power transmission line filters for an anti-aircraft radar being developed at the Whippany Laboratory. His invention of a variable waveguide phase changer also made possible a phased array scanning antenna for main battery fire-control on battleships and heavy cruisers. For this he received the Naval Ordnance Development Award in 1945. In 1944 he returned to Holmdel where he participated in the pioneering of the Bell System's first microwave radio relay system, and later engaged in millimeter wave research. From 1953 he headed the Microwave Physics Department doing device research on ferrites, dielectrics, and semiconductors. In 1959 he entered into a collaboration with Tingye Li to develop an adequate theory for the open optical resonators needed to achieve laser operation. From that time he headed the Department of Coherent Wave Physics working on lasers, modulators, and non-linear optical studies, From 1976 until his retirement in 1977 he was head of the Department of Radio Systems Research. He holds 53 patents in the microwave and quantum electronics fields. Mr. Fox has served on a number of IEEE technical and conference committees and served as chairman of some of them. He was appointed Associate Editor of the IEEE Journal of Quantum Electronics in June 1965 and served until June 1970 when he assumed the duties of Editor. He received the IRE Fellow award in 1956 for his microwave contributions, and was elected Fellow of the Optical Society of America in 1977. In 1978 he received the first Quantum Electronics Award given by the newly formed Quantum Electronics and Applications Society of the IEEE. Gardner and his wife, Ellen, have lived for most of the 42 years of his professional career in Rumson, N.J. They and their four children, now grown, have for many years enjoyed sailing small boats and have been active members of the Shrewsbury Sailing and Yacht Club. Gardner's hobbies include swimming, music, and photography. 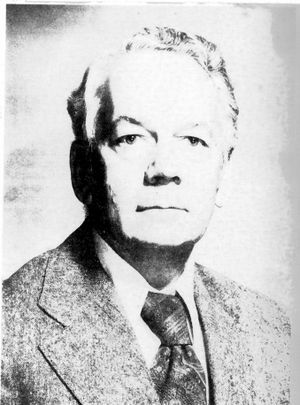 From 1959 to 1977 he served on the Board of Education of the Rumson Fair Haven Regional High School, during which time he was vice president for several years and president for four years. He has been kept busy in retirement by the building of a new house in Rumson, and by a three month sojourn as a research consultant at the University of Bern, Switzerland. This page was last edited on 18 January 2019, at 16:32.